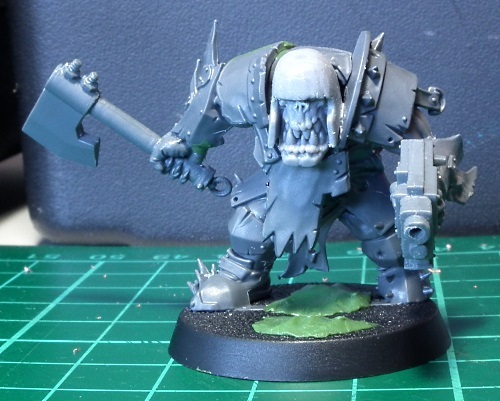 Hahaha, nice job - just in time for GW to take the ard boyz off us. 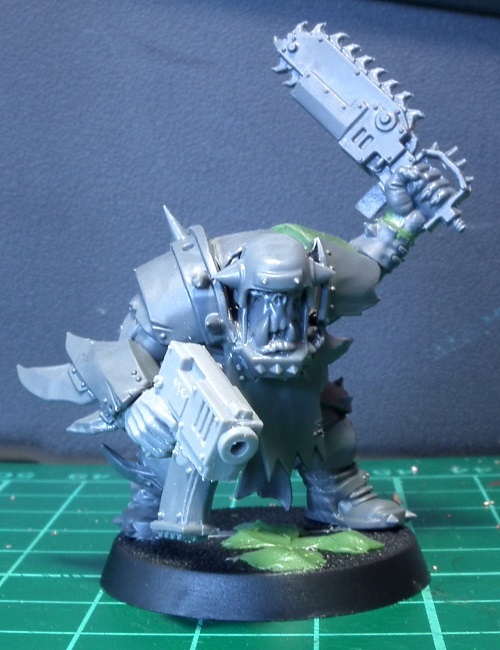 ... just in time for GW to take the ard boyz off us. Really? They're gone? But I liked them!! 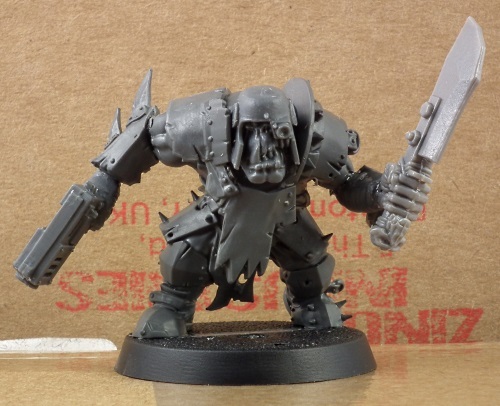 Well, I guess that was to be expected, 'cause they have no offichul models. 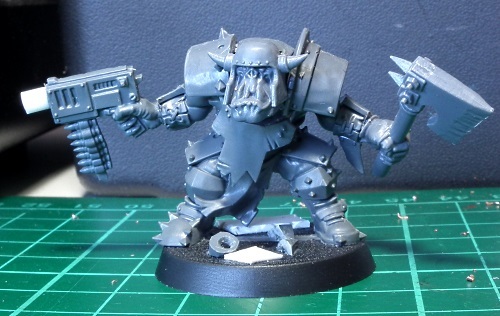 GW used to sell an 'ard boyz upgrade, back when they still had a bitz shop. 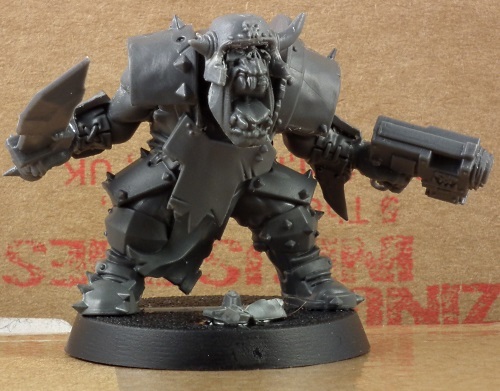 I remember there was metal helmeted heads, armored torsoes and shoulder guards, and maybe iron gobs? Well, I makes what I wants, anyway. Like I said, I have some free time this week. GS werk is not done yet, so there are some nasty surgical scars and missing bits, around the necks especially. 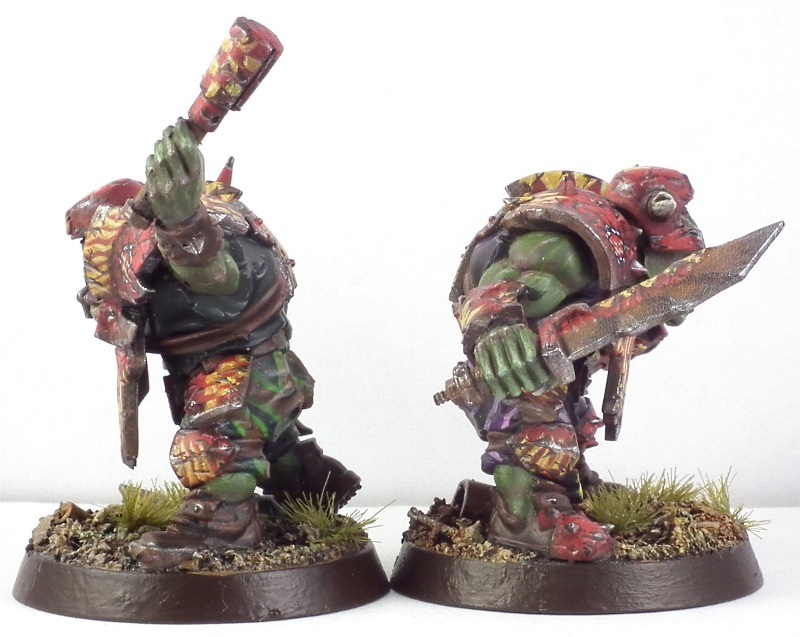 Also the bases need some detailing. 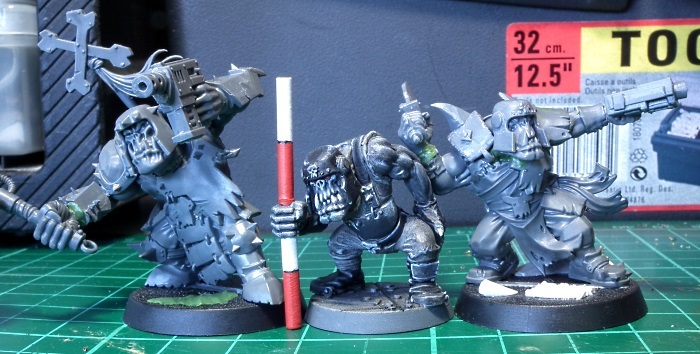 This was the first time I thougth to do an ork face transplant ( results on the second and the last boy) with a helmeted head. I found the best way to do this is to first make a vertical cut all thru the middle of the face, from the rim of the helmet to the jaw. Then you make two more cuts on both sides between the side bitz of the helmet and the face. 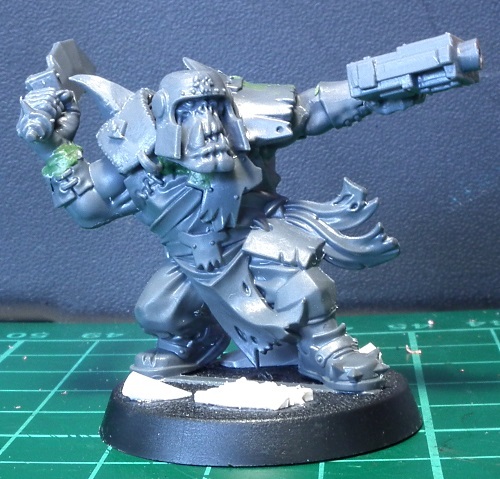 Then you just cut the exess bits off with a hobby-knife, leaving just the helmet. File might be usefull, too. Last you cut the new face so it fits inside the helmet, and glue it in place. 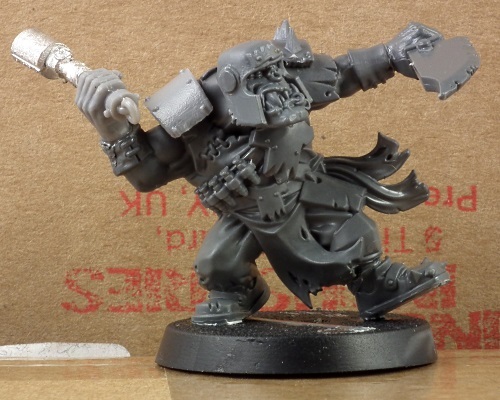 I don't quite know what to do with the other black orc, maybe make him an alternative nob with different gear? 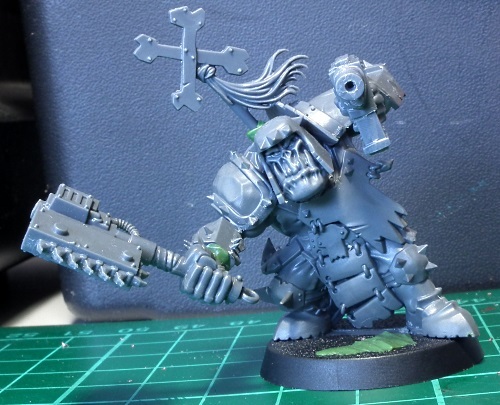 He'd need really major work to wield a heavy/special weapon. 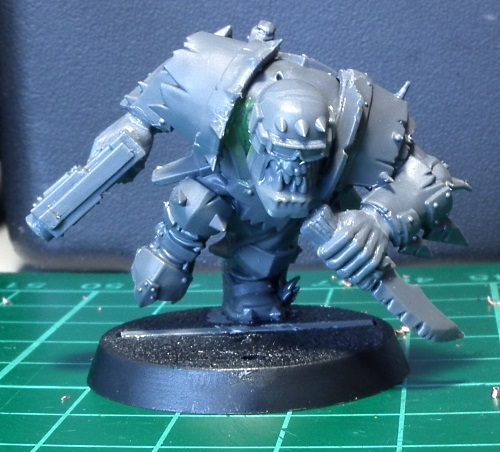 The Nobz pose is a little weird though, but it is a tough model to repose. These are great. 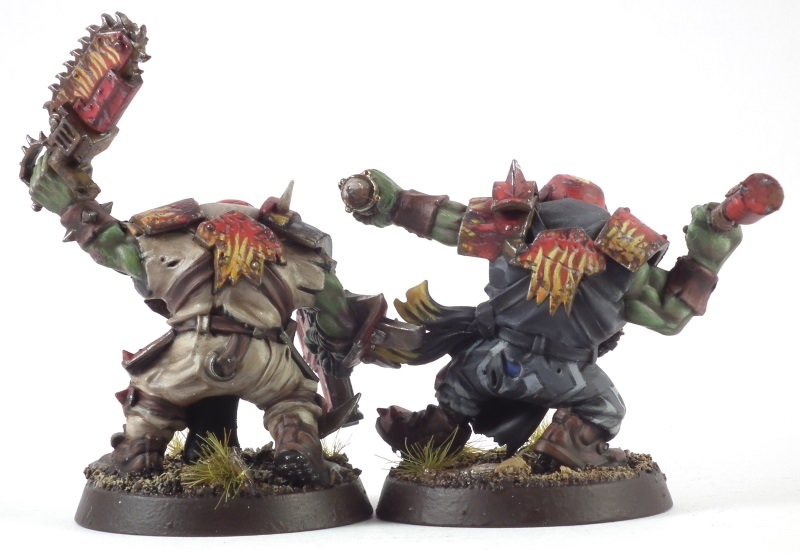 Such a simple idea to make the boys look so much more dynamic. 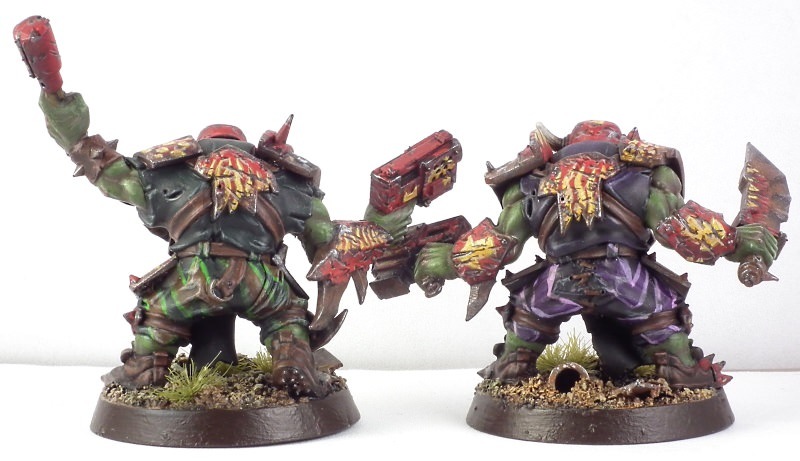 I can't even comment on the conversions, because I just can't see past how much i love the paint jobs. Honestly I think Evil Sunz are the hardest clan to get right. 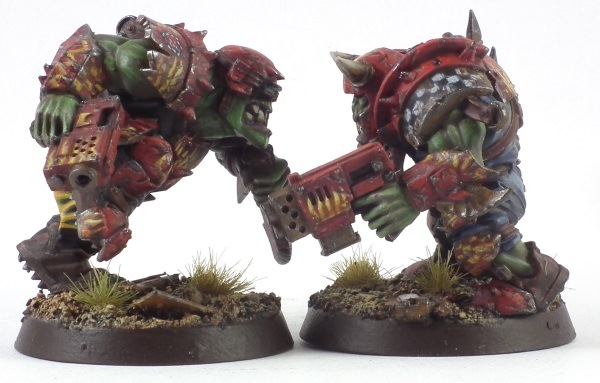 I've put them in too much red, to little red, too bright red, too dull red.... but you got them right. 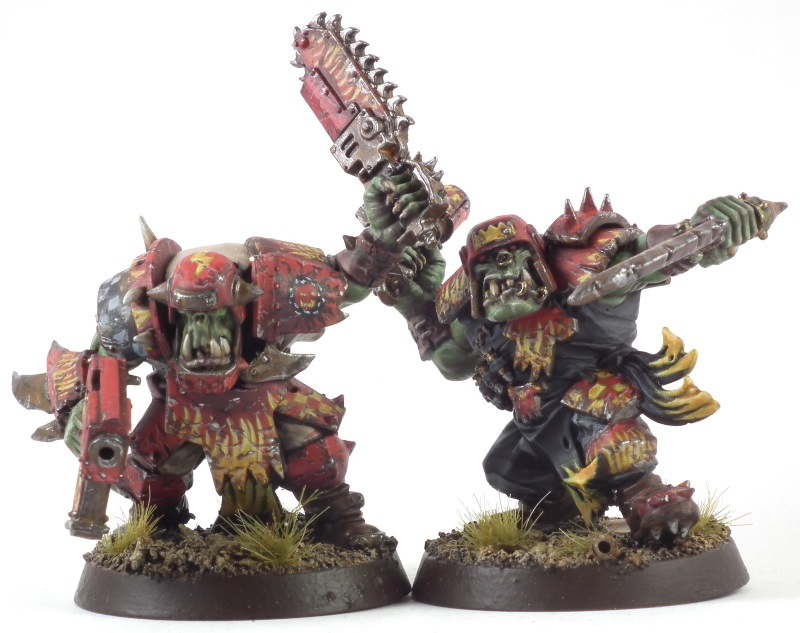 I'm gonna save these pictures to copy next time I have some boyz to paint. 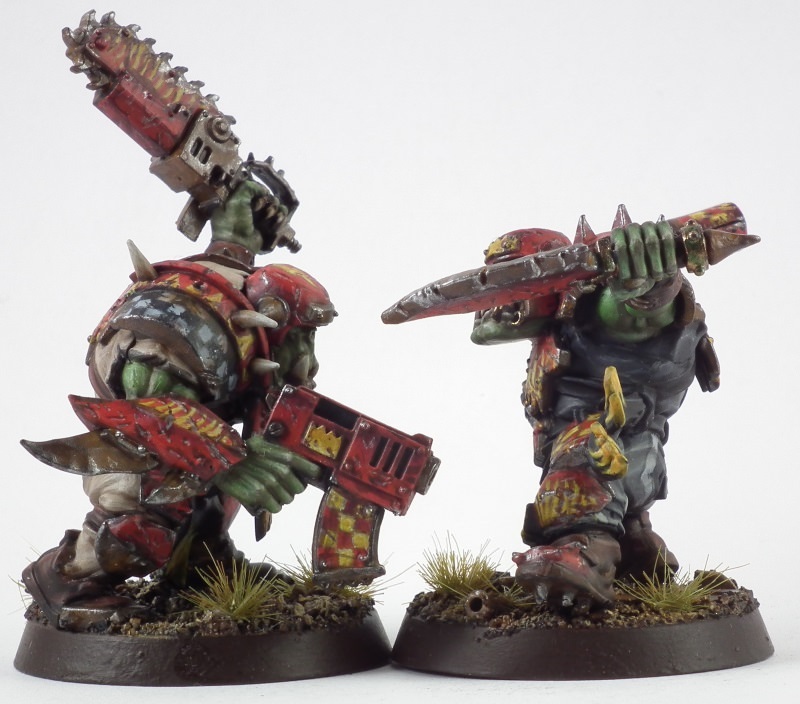 These are awesome conversions and paint jobs!! 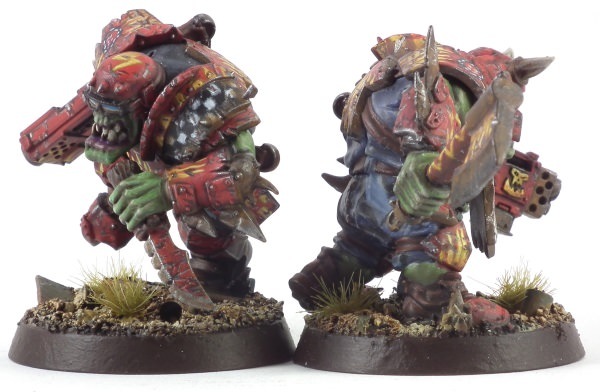 I love the Bloodbowl Orcs... You've made them a real force to be reckoned with!! Beautiful paint job. The fake blizter is my favourite. 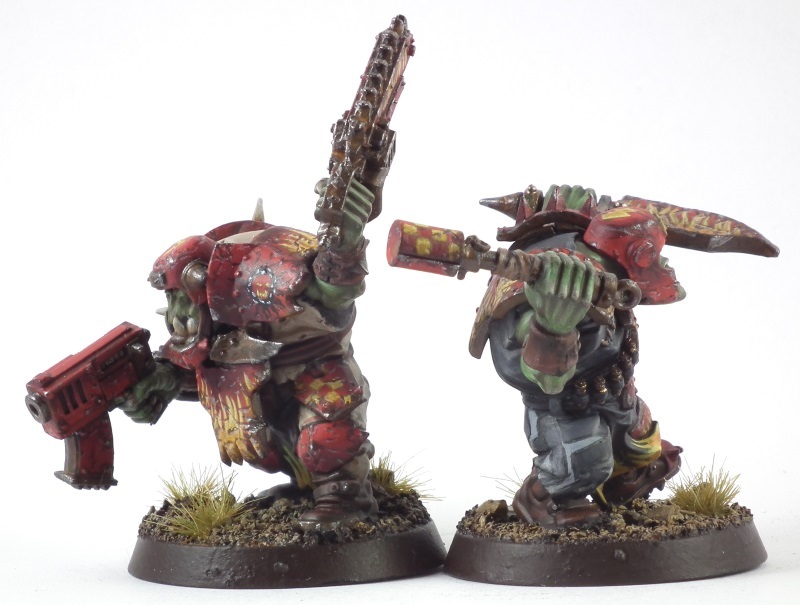 This is awesome to see these models painted up!! 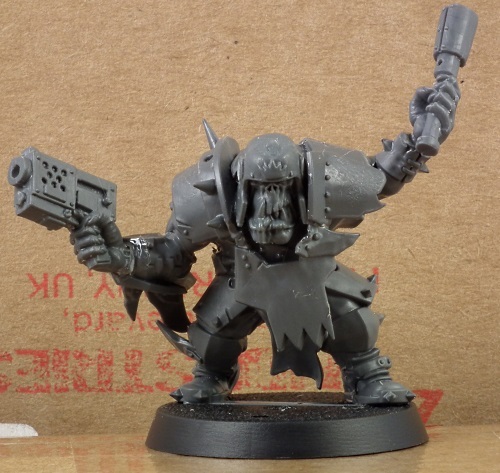 I had ordered a box of the BB orcs last week for this very purpose. Glad to see youve already done it justice! 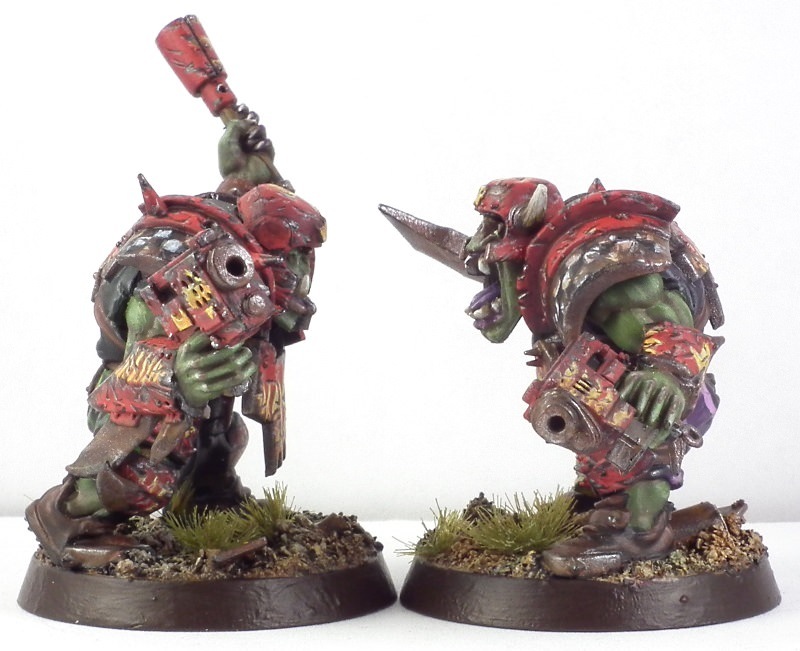 Next Up: Ork Lootas & Moar Boyz! 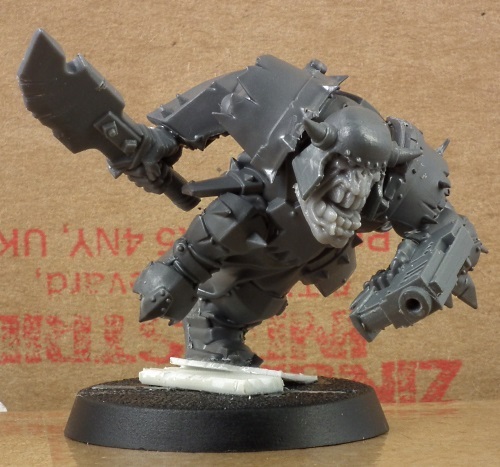 In Da Fewchur: Ork Dakka Jet? Battle Wagon? 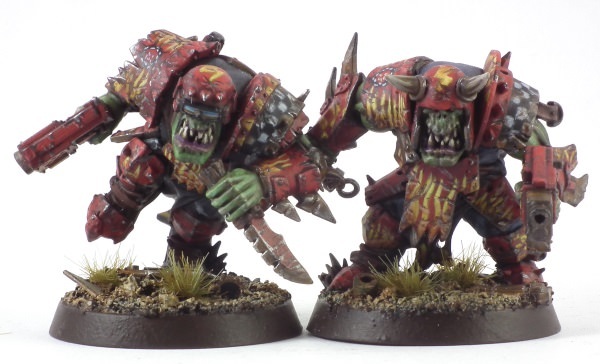 Nobz Squad? 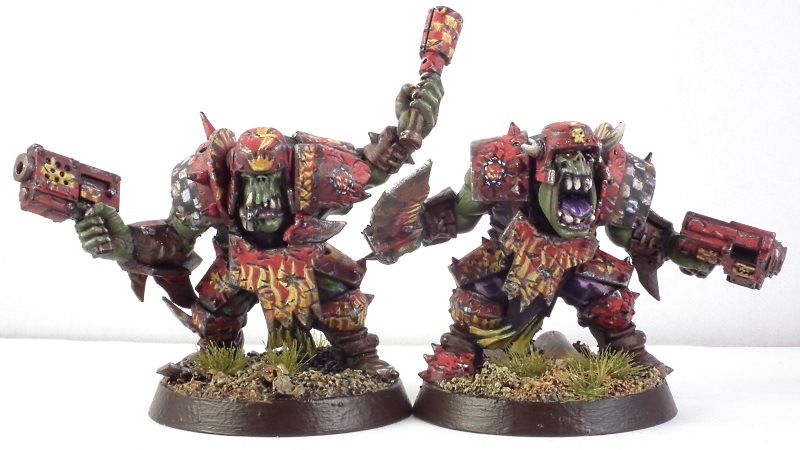 Hmm, I forgot to tidy up the yellow flames on their loincloth-thingys.